Going Native: Sid McLean estimates he has spent at least 15 years, on and off, helping the yard live up to its potential. Photos by Rip Weaver. Having lived in many areas of the country, Sid and Gayleen McLean always embrace new habitats, both personally and horticulturally. “Everywhere we have ever lived we have done the landscaping. It’s something I learned from my mother,” Sid McLean said. The couple had retired and moved out west, but when Sid McLean inherited his parent’s home in Hoover, they came back and began to make the house their own. “The home needed renovations, standard stuff, and especially the yard. It was practically all trees and brush – it was a mess,” McLean said. Instead of searching for the best landscapers in town, McLean decided to take a more do-it-yourself approach. In fact, McLean estimates he has spent at least 15 years, on and off, helping the yard live up to its potential. The McLean’s backyard now includes a pool (he did have some professional help there), an outdoor kitchen, terraced landscaping and accent planters. McLean said he cleared out more than 100 trees and bushes at the start of the project and proceeded to work on building drainage systems, retaining walls and pathways to give the land some depth. When McLean’s parents lived in the home, his mother was an active gardener and especially loved azaleas. “The yard was very showy and I always admired that. Fortunately, this is azalea country,” McLean said. Staying true to his mother’s landscaping style, McLean said he chiefly chose flowering trees and shrubs such as dogwoods, cherry blossoms and azaleas to repopulate the yard. Another of his landscaping goals was to embrace the native plant life of Alabama, including large pine and oak trees. Although he feels he is finished with large-scale changes to the yard, McLean is hesitant to call the yard finished. For now, the couple is enjoying the finished outdoor kitchen for Fourth of July parties, family reunions and, most recently, a 90th birthday party for a relative. As Aldridge Gardens members in Hoover, the McLean’s recently opened their yard to those interested in hearing a more in-depth how-to on DIY landscaping. “I’m not sure I’m really one to give advice, it is just something I did over time. I’ll say it is a lot of work and expense and it isn’t always for everybody,” McLean said. Aldridge Gardens hosts and organizes events throughout the year for members and non-members. This fall, Art in the Garden, a juried art show, will be Sept. 24-25 and the gardens will host a Native American celebration called Whispers from the Past on Oct. 2. 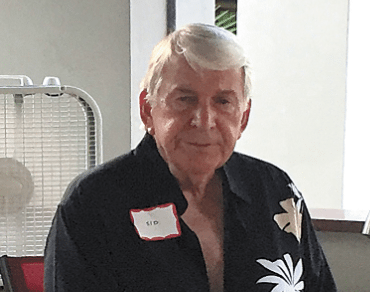 Staying true to his mother’s landscaping style, McLean said he chiefly chose flowering trees and shrubs such as dogwoods, cherry blossoms and azaleas to repopulate the yard. 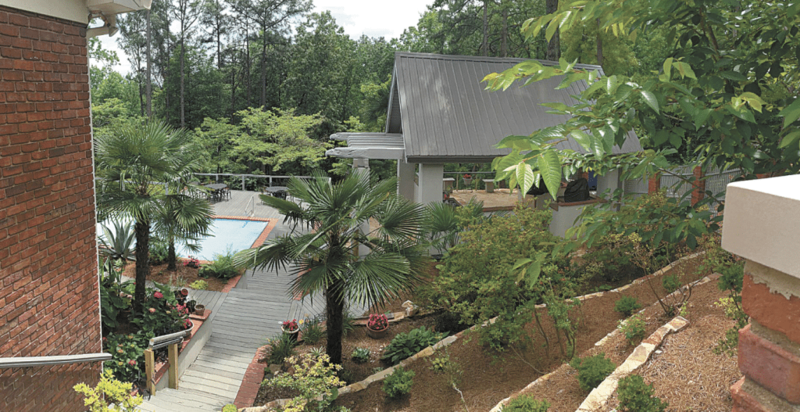 Another of his landscaping goals was to embrace the native plant life of Alabama, including large pine and oak trees.